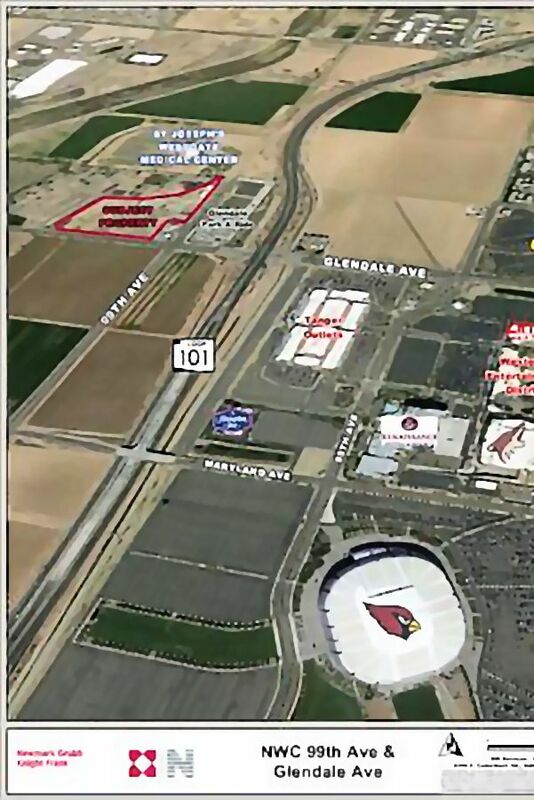 Last week the Phoenix Business Journal had a story by Angela Gonzales, Senior Reporter, about a new health campus coming near St. Joseph’s Westgate hospital. It will be a $30 million dollar investment led by Dr. John Simon. Dr. Simon founded SimonMed Imaging, Inc. It will be located at the northwest corner of 99th Avenue and Glendale Avenue, directly to the west of the Glendale Park n Ride lot. The 20 acre project is planned to be a healthcare campus with all kinds of outpatient facilities available at one central location. The buildings and/or condos will be available for lease or sale to doctors for medical offices, surgery centers, skilled nursing facilities and long term care facilities. The investment group is also seeking a research center and a satellite nursing school. Construction is planned to start in 12 to 18 months. I congratulate Dr. Simon and his investment group for their commitment to develop further medical facilities in West Glendale. West Valley residents are delighted and can’t wait to use this new complex. Residents in the Westgate area, until the advent of St. Joseph’s Westgate had to travel 10 miles to Banner Thunderbird or 5 miles south to Banner Estrella or 10 miles west to Banner Sun City to have access to medical services. Having medical providers and services in this area has been long overdue. We look forward to even further expansion of medical facilities and thank Dignity Health for its investment in this area. It has proven to be a catalyst for further medical development. We are excited and grateful. Now that’s a good news story!